The rains have subsided, and sunny days are providing sight fishing opportunities in the Indian River, with some of the cleanest water conditions we’ve seen . 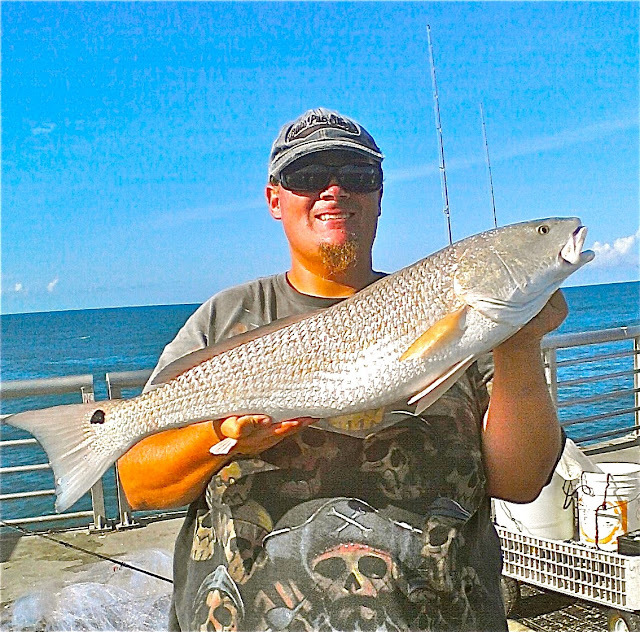 There have been plenty of Redfish around, with Gulp Shrimp being the best bet on spinning and Rattle Shrimp the best bet for fly anglers. Seatrout are also quite abundant, with some pretty large fish among them. DOA CAL jigs and suspending plugs such as Mirrodines and Rapala Rattle Mullet have been producing the best. Surf fishing and offshore have been pretty tough the last few days with the rough conditions, but the coming west winds should knock it down a bit and clean things up. Snook fishing in both inlets has been very good, and Redfish have also been prevalent in Sebastian, with flare jigs working best for both.